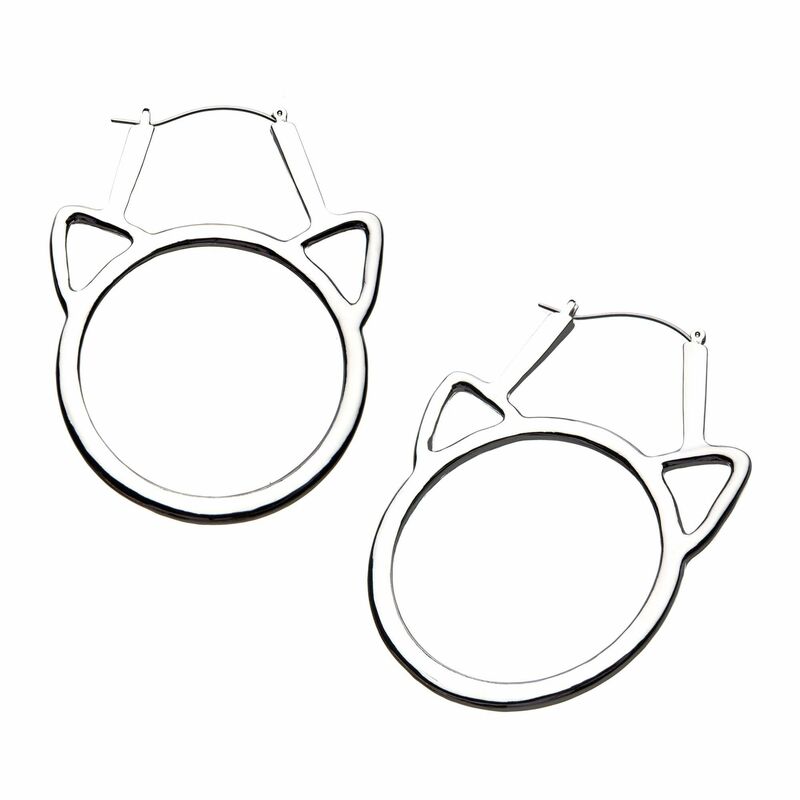 Base Metal Cat Head Cutout Plug Hoops with 316L Stainless Steel Post. Sold As A Pair. Stainless Huggie with Cross Dangle.